Oklahoma Connection | Nichols was born in McAlester, Oklahoma. Polly Nichols, community volunteer and philanthropist, has served Oklahoma nonprofits most of her life. Born in McAlester, she has been involved with more than 20 organizations since moving to Oklahoma City in 1971. A survivor of the 1995 bombing of the Alfred P. Murrah Building, Nichols co-chaired the $29.1 million dollar fundraising drive to build the Oklahoma City National Memorial & Museum and served on the board of directors. She has served as chairman of the Oklahoma City National Memorial & Museum, Junior League of Oklahoma City, Science Museum Oklahoma and the Oklahoma Center for Nonprofits, where she has worked to build a coalition of nonprofits in Oklahoma. 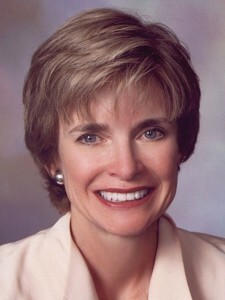 In addition to her volunteer experience, Nichols served as executive director of the Oklahoma Foundation for Excellence from 1990 to 1997, which was a period of substantial growth for the organization. She was co-chair of the founding Juliette Low Leadership Society Luncheon for Girl Scouts-Western Oklahoma, co-chair of the first Reflections of Hope event for the Oklahoma City National Memorial & Museum, co-chair of the Allied Arts fund drive, and with her husband, Larry, co-chair of the 2007 United Way fund drive. See pictures of Polly Nichols and other media HERE.